“Why should I floss?” is a frequent question asked by many patients at Greenline Dental Centre at Coquitlam Centre. 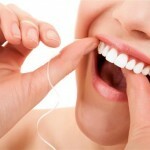 In fact, flossing is one of the most important habits in any good oral health routine. Dental floss helps remove any food particles trapped between the teeth and lowers your chances of plaque build-up. Despite the fact that most patients understand the answer to “Why Should I Floss”, there is still a lot of confusion surrounding the proper techniques on how to floss. 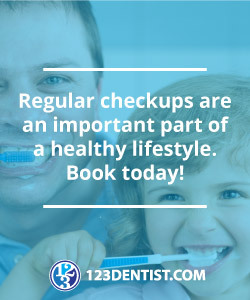 It is important to carry out flossing as a part of your regular oral hygiene routine; brushing alone is not enough to remove all the food particles and regular flossing ensures that there is no buildup of plaque on the teeth. Plaque buildup can lead to gum disease, gingivitis or periodontitis. Dental floss can be flavoured or unflavoured, waxed or unwaxed. Talk to a hygienist at Greenline Dental Centre if you’re not sure which dental floss is right for you. 1. Floss must be held taut and guided between each tooth and also under the gums to ensure that all food particles and plaque are removed. However, be sure the floss doesn’t scrape too much on the gums or it could cause gum bleeding. It is also important to change the strip of floss for each tooth to ensure that bacteria are not transmitted from one to the other. 2. It is important to buy dental floss that’s the right thickness. Floss that’s too thick or thin won’t give you the best cleaning. 3. Use dental floss every day after brushing, preferably before bedtime, as an effective precaution against gum disease, halitosis and dental cavities. Dental floss also helps to reduce the incidence of harmful bacteria in the mouth and hence lessens the risk of associated heart disease. 4. If you generally consume a lot of meat, you’ll want to floss at least once a day to remove the fibres that can get stuck between your teeth and cause cavities and gum disease. You might notice bleeding the very first time after using dental floss, but this is normal and stops after the first few times. Regular bleeding, on the other hand, isn’t a good sign and you should consult an oral health professional at Greenline Dental Centre to ensure that you are using dental floss correctly.